I haven't been keeping up with my plan to make a few Christmas cards every month so today I made one to add to the box! 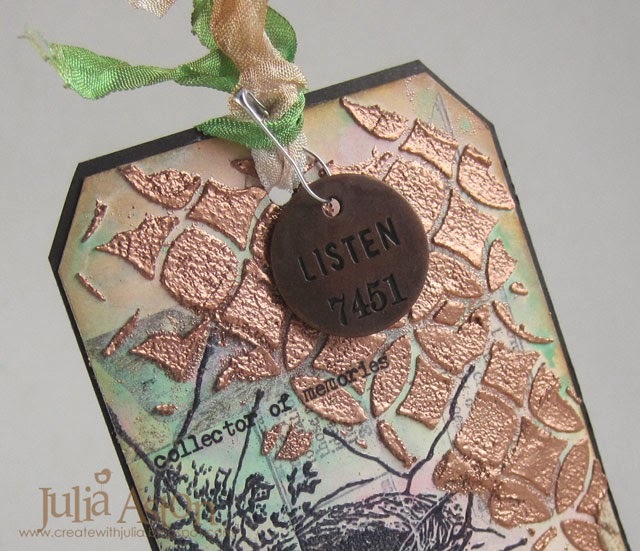 I used Tim Holtz Tree Blueprint Framelits - a set that comes with stamps and dies. I purchased it on sale at the end of last year - and today is the first time I pulled it out to use it! 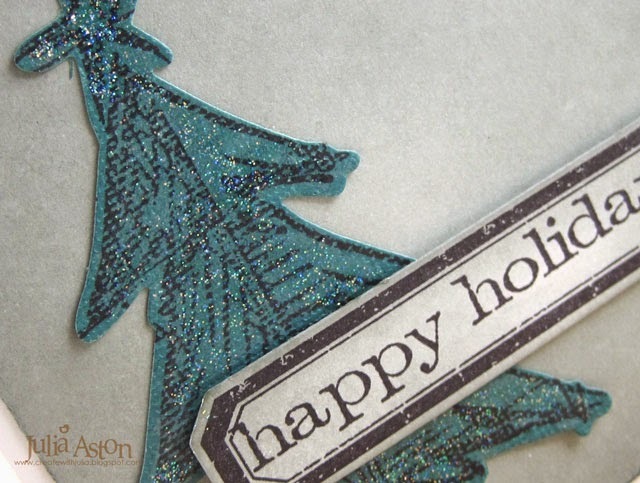 I brushed Glitter Glaze from MFT over the whole tree to add a little sparkle to this otherwise fairly dark card. I sponged a white panel with Ranger Distress Iced Spruce Ink as a background for my tree. 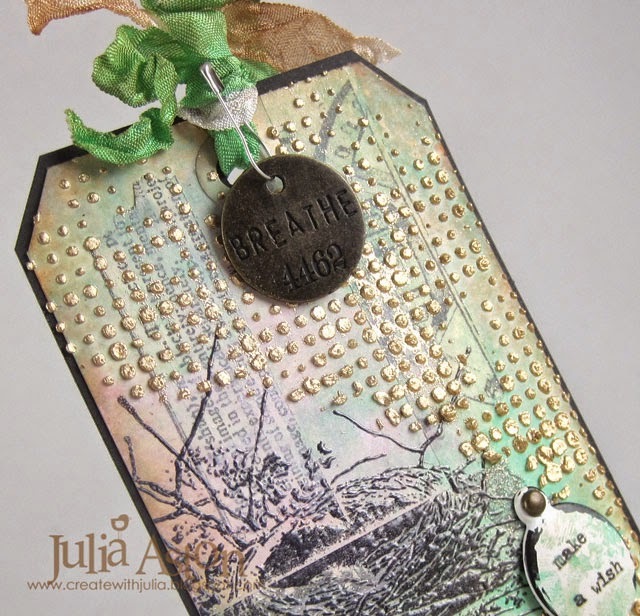 The sentiment strip is layered over the tree with pop dots. It has actually been snowing here ALL day today (AGAIN!) it's not accumulating where we live but they say some ares could get 2-3" - this winter just will NOT let go of us!! Accessories: Glitter Glaze - MFT, foam dots. Well - we're 6 days into Spring and although we have been having sun here in MA - we still have lots of snow on the ground and cold temps! There's one spot at the side door of my church that is protected and gets the warm sun and the daffodils and hyacinths planted there are just poking their green tips out of the ground so I do have hope!!! 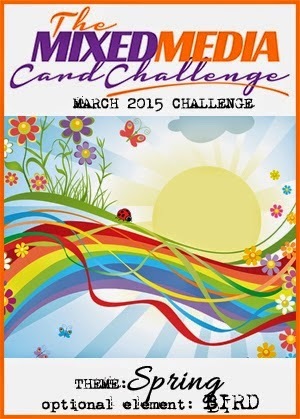 It's also time for the next Fusion Challenge - and it's a bright and sunny one! A friend at church asked me to make a First Easter card for a new granddaughter so I figured I could get two assignments done with one card by using the Fusion Challenge for inspiration. I'm not that big on using cupcakes on my cards for some reason (?!) but I was going to go with bright yellow for Spring and Easter - but when I went looking for papers to use, the ones I decided on didn't have much yellow on them - so my card became pretty much just the sketch! 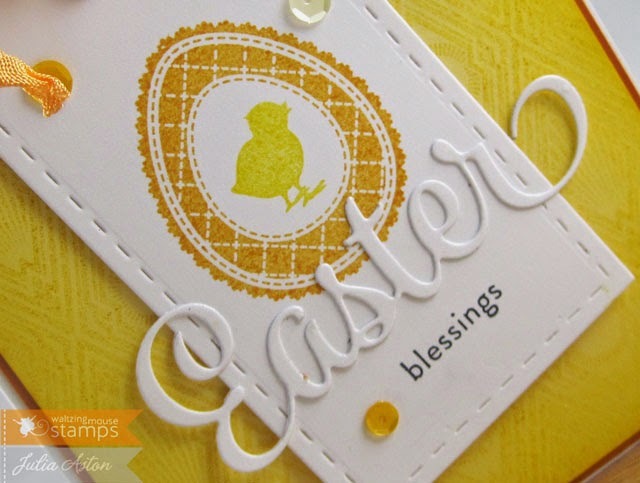 The egg and bunny stamp are from A Good Egg and the Easter is from Spring Baskets (it's a partial stamping of a stamp that says Easter Blessings)both by Waltzingmouse. 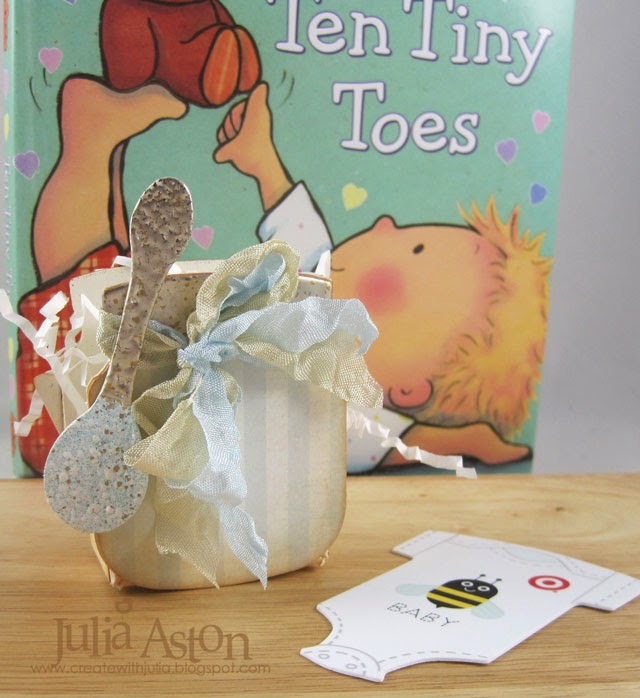 The Happy First is a another partial stamping (the stamp says Happy First Birthday) from the Bitty Baby Blessings set from PTI. The egg and flower dies are from A Good Egg die set by Waltzingmouse and the big oval is from Tim Holtz Alterations - Sized Ovals/Large. 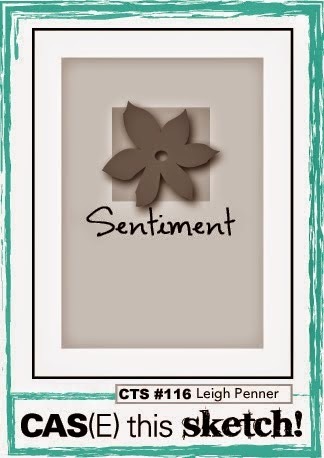 The sentiment strip is from MFT (LOVE these dies!). Everything is popped up on foam dots. 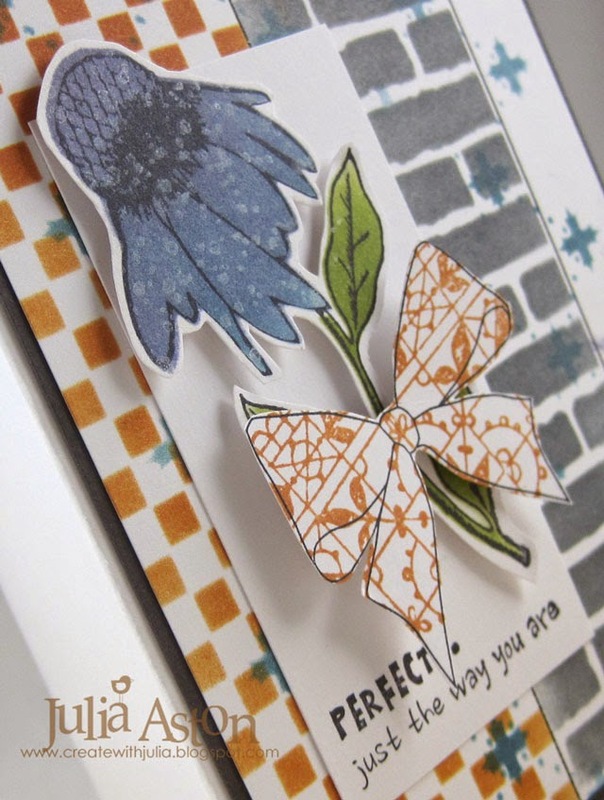 The striped paper is from a paper pad from PTI called Watercolor Wonder - it has 9 wonderful patterns in it (4 - 5 1/2" x 4 1/4" sheets of each pattern) - you could make a card with just these papers and a sentiment stamp! 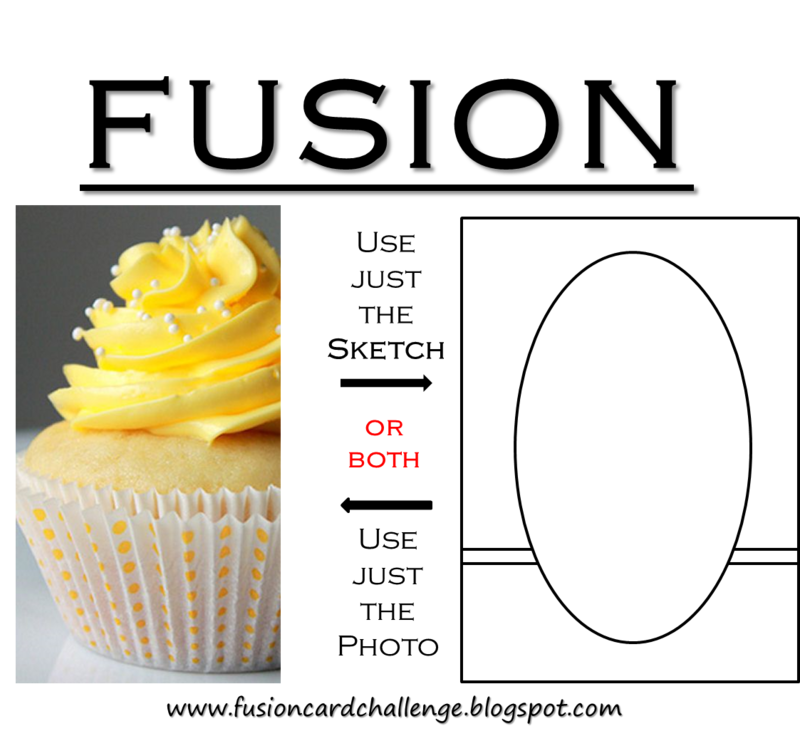 So how will you be inspired by this week's Fusion Challenge - will you choose the yellow and/or cupcakes? the sketch? or will you do a Fusion and combine the two?? 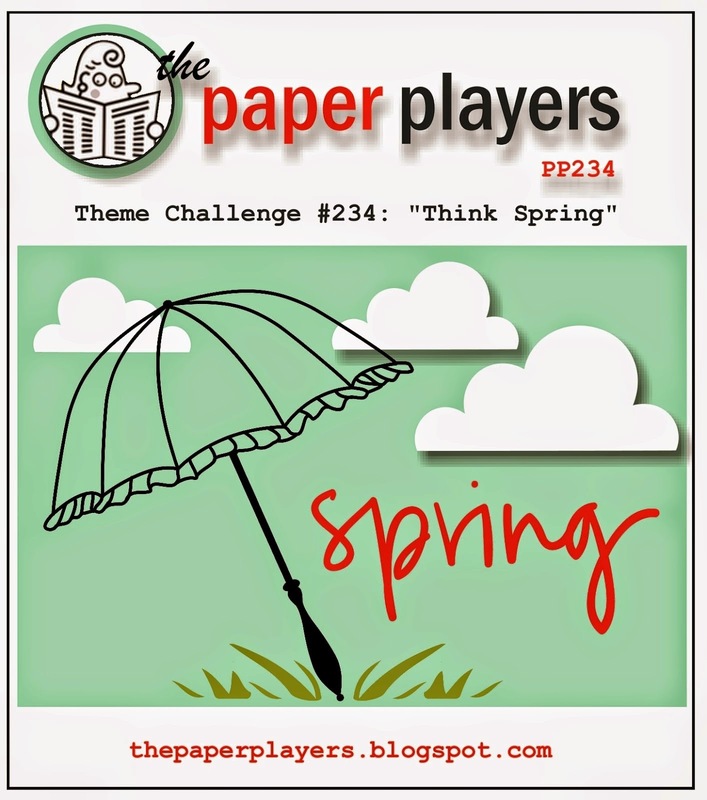 You'll find all the details of the challenge and the link to link up your creation over at the Fusion Challenge Blog. And check out all the super inspiration from the DT! 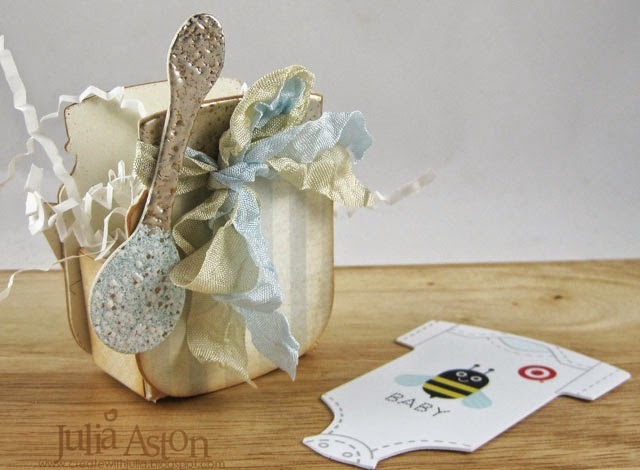 Paper: White, Aqua Mist, Harvest Gold, DP - Watercolor Wonder, Text Style Bitty Dot Basics - PTI. Ink: Melon Berry - PTI, Tea Rose - Wendy Vecchi Archival, Archival Jet Black, Memento Tuxedo Black. 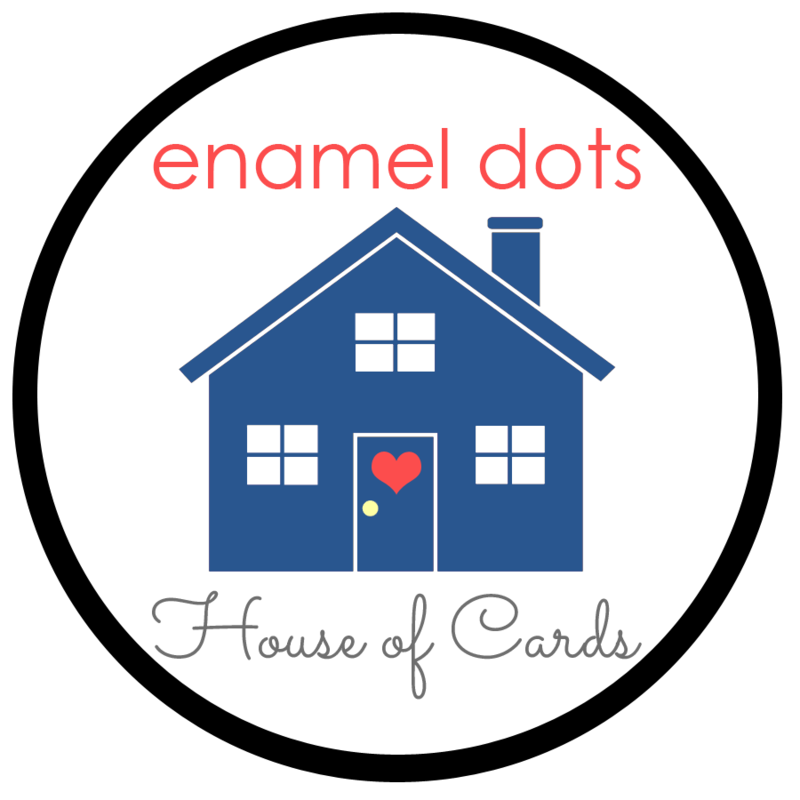 Accessories: Enamel Dots - Michaels, Lace - SU, Foam dots, Dies - A Good Egg - Waltzingmouse; Sentiment Strips - MFT, Sized Ovals/Large - Tim Holtz Alterations. A friend at work has a daughter who is running a marathon for charity - and so my friend wanted to purchase some Thank You cards from me. So I've been busy making several different designs for her. Here is one of them. 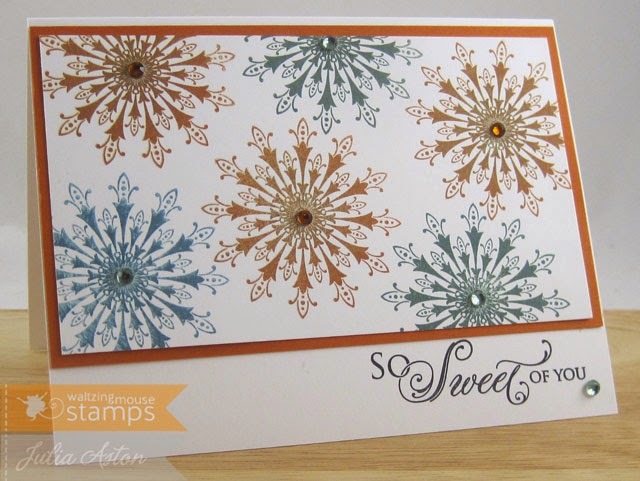 I used a stamp and die set from PTI called Boutique Borders: Thank You. 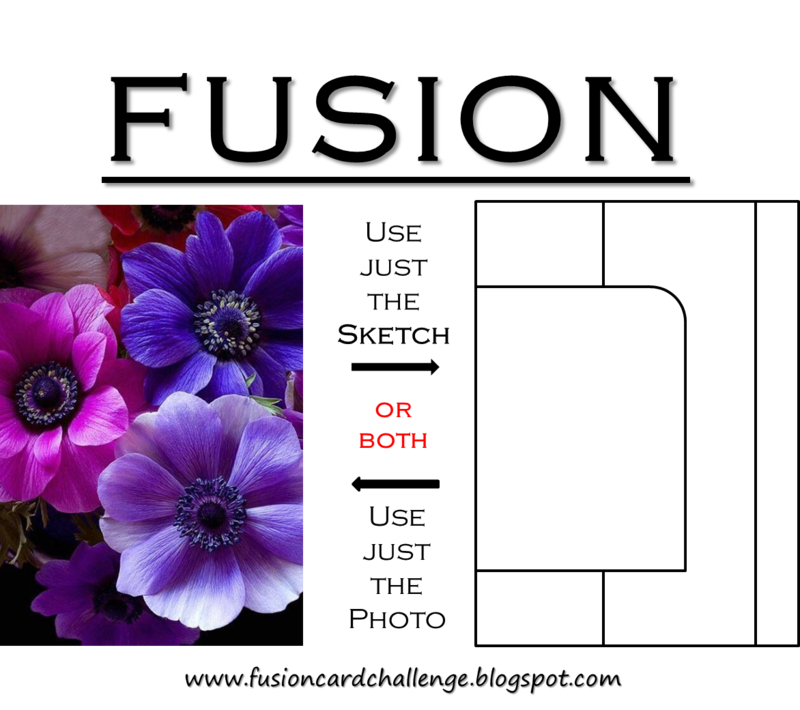 and Boutique Borders Thanks Die - The stamp set is just $5 and the die is $4! 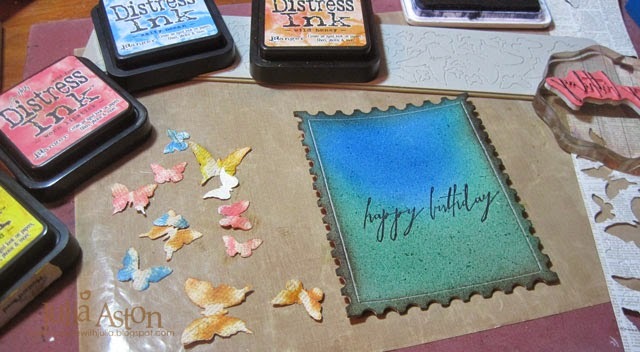 I love when there are dies to coordinate with the stamp sets - it makes card designing so easy - and a card always looks better with something popped up on it don't you think? I simply added 2 black rhinestones to it. I purchased the stamp set and die several months ago - and this is the first time I've inked it up! It's always in good style to send a thank you and I think this flourish frame gives the design style! I'll be back tomorrow with the newest Fusion Challenge - hope you can drop by! Accessories: Boutique Borders: Thank You set die, foam dots, black rhinestones - Kaiser Craft. 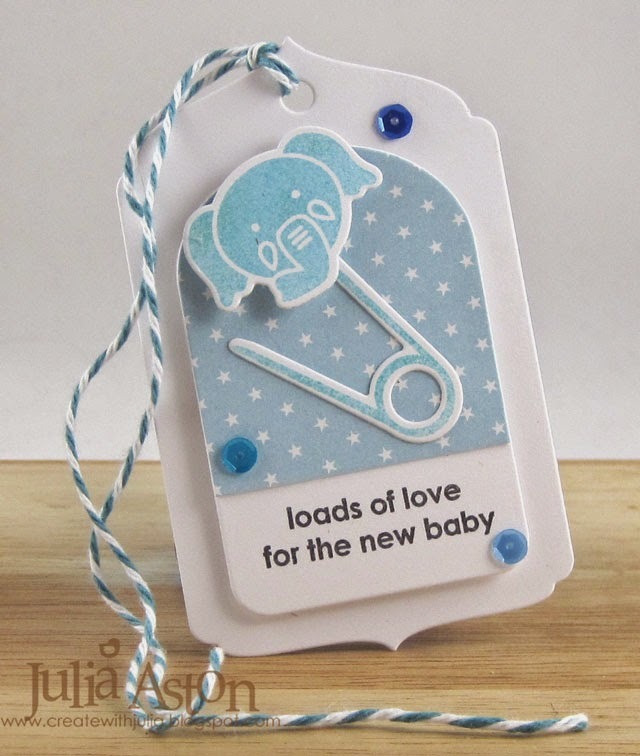 Wow - I can't believe it's been a week since I last posted - I've been working on Design Team projects that will be posted later as well as making lots of Easter Cards for a sale at my church so I've been stamping - just not posting! So tonight I just had to work on something for some challenges I wanted to do! I haven't started making as many Christmas cards as I did last year by this time - so I'm glad to get another one done - it's SO nice to have them all done by the fall! 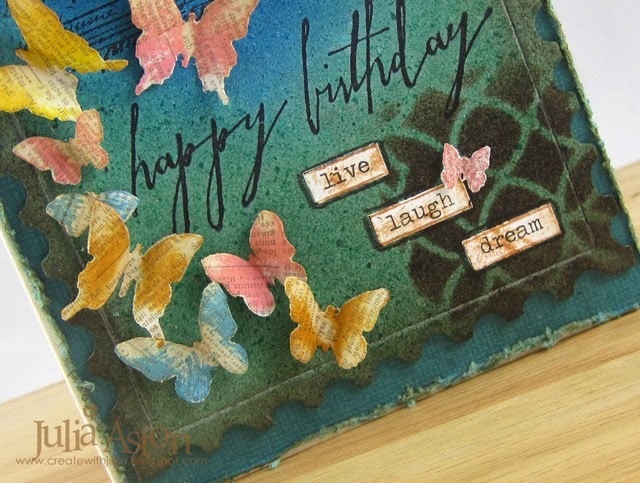 This is a one layer card (accept that it's layered over a black panel) - and it's ALL stenciling - no stamping. The stencils are all by Wendy Vecchi - Check Mate, SISI Floral Frame, Dots and Stripes, SISI Holiday Icons, SISI For the Holidays. All the inks are Wendy Vecchi Archival colors plus Archival Jet Black. I made my gold enamel dots from Perla Beads. See my tutorial here. I hope you all have a lovely weekend! We're still having snow (just a dusting hopefully) even though today is the first day of spring! 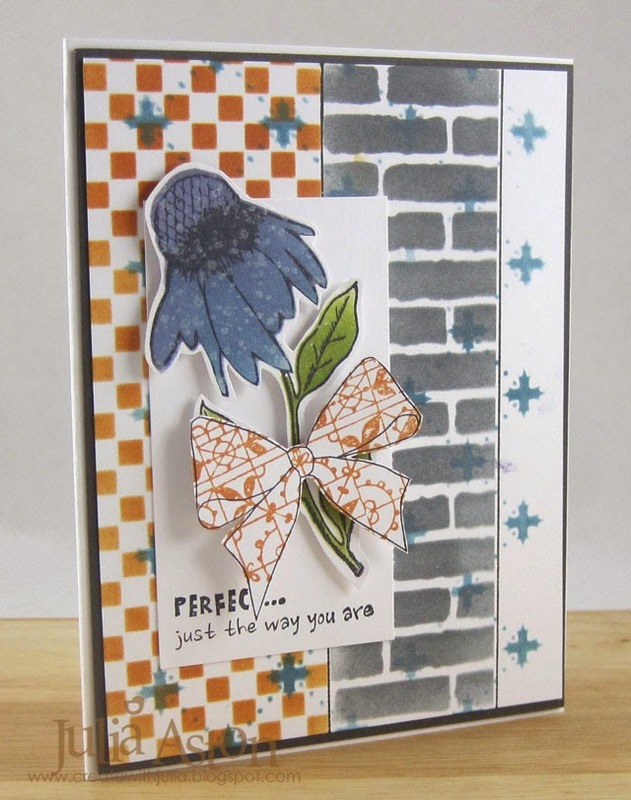 Ink: Wendy Vecchi Archival Red Geranium, Leaf Green, Dandelion, Cornflower Blue, Archival Jet Black. Accessories: Wendy Vecchi Stencils - Check Mate, SISI Floral Frame, Dots and Stripes, SISI Holiday Icons, SISI For the Holidays, home made enamel dots, Scotch Quick Dry Adhesive. and you'll find all the details of how he made his here. 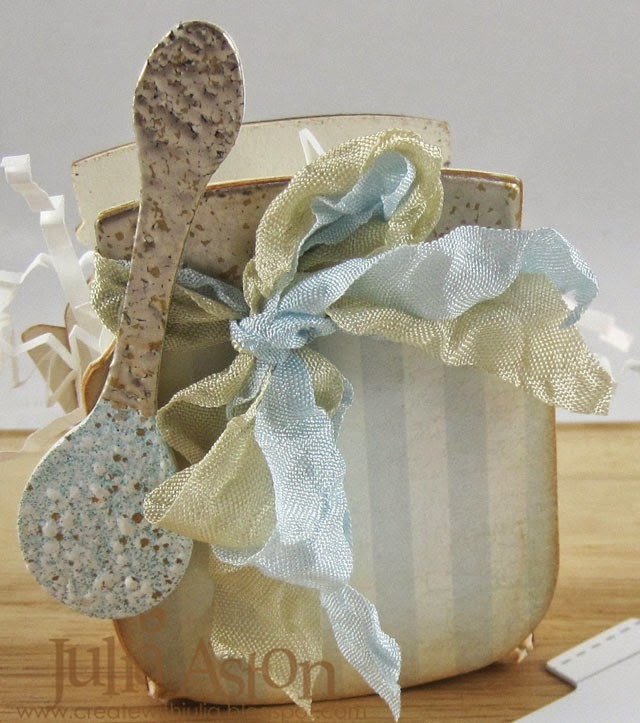 I started both of my tags by placing some strips of Tissue Tape on them and then swiping them through puddles of Cracked Pistachio and Spun Sugar Distress Paints that were spritzed with water. 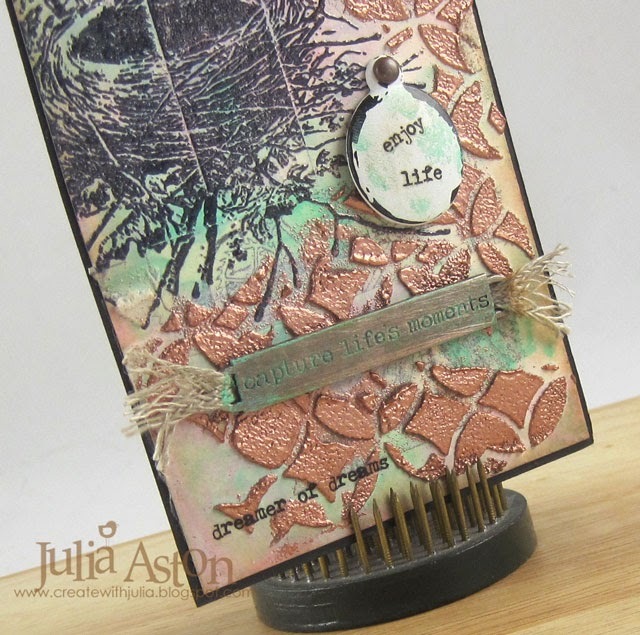 After the paints dried, I used the large bird nest stamp from the Bird Feather stamp set (instead of Tim's butterfly), stamping it in Archival Jet Black Ink and clear embossing it. On this first one, I used Tim's Dot Fade stencil with White Embossing paste, covering it with Gold Embossing powder. On my second tag I used white embossing paste with the Latticework Stencil sprinkling it with Copper Embossing powder - letting it dry and then heating it, per Tim's instructions. I added additional Remnant Rubs/Words to this tag at the top and bottom. I rubbed Cracked Pistacio Distress Paint on both the Enameled Tags and Word bands, sanding most it off of the Word band once it dried. I attached the Word Band to the tag with ScorTape. 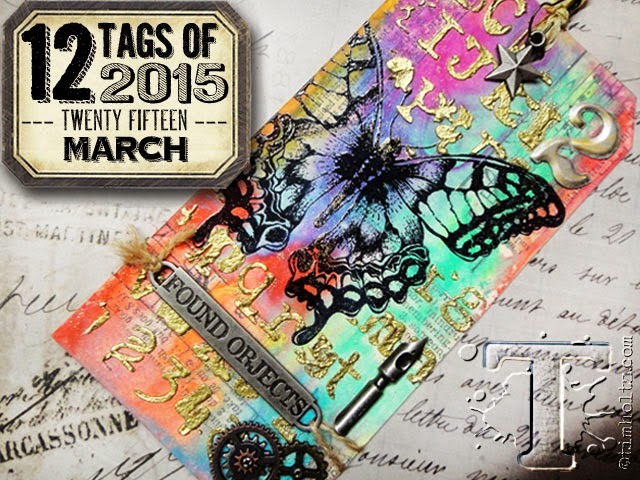 Have you made your Tim's Tag for March yet? You have until the end of the month. Check it all out at Tim's blog here. 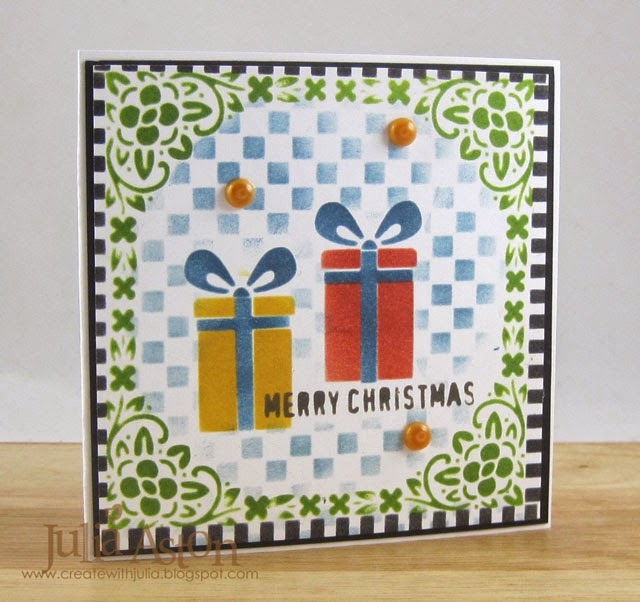 It's been raining here all day today (a good day to be inside stamping!) - the piles and piles of snow are slowing melting away! MAYBE by Easter it will be gone - I can only hope! Accessories: Ranger Distress Acrylic Paints - Cracked Pistacio and Spun Sugar, Stencils - Dot Fade and Latticework - Ranger, Glue N Seal - Ranger, Embossing Powders - God and copper - Ranger, Idea-Ology - Philosophy Tags, Word Bands, Remnant Rubs/Words, Enameled Tags, WishBones, Linen Ribbon, Long Fasteners; Wrinkled Seam Tape - Prairie Bird Boutique Etsy Shop, Clear Embossing powder. 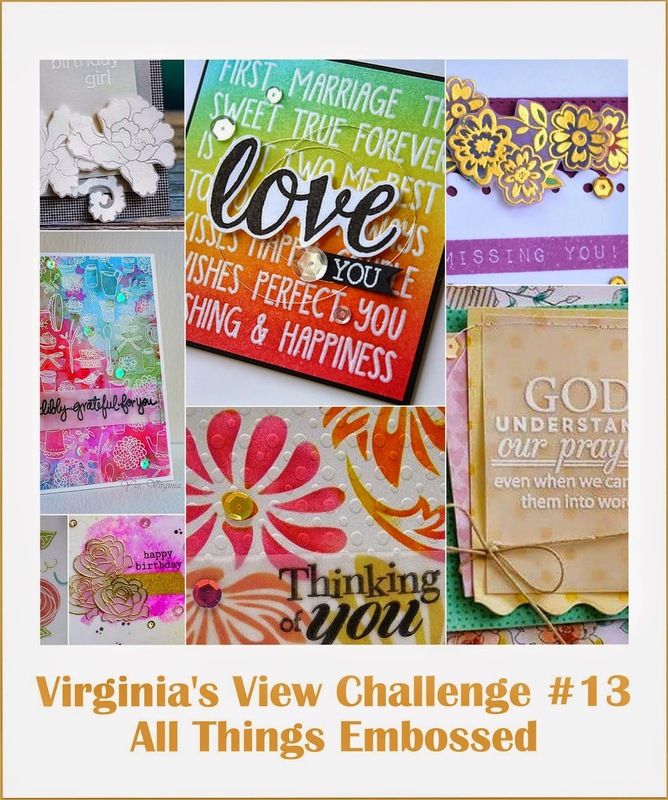 A Vintage Journey is celebrating it's 1 year birthday this month - and Hostess Brenda has chosen 'Anything Tim' for her challenge to us! I knew I wanted to make a birthday card to celebrate the occasion. I had a piece of grungeboard that I had previously die cut using the Postage Stamp Frame sitting on my work table - and decided to start with that for my card design. I figured that Tim would have some help for me in how to color the grungeboard - and sure enough I found it on page 39 of his Compendium of Curiosities Vol 1. You basically just sponge it with the desired colors - going over it until the desired depth of color is achieved - given that the grunge board will tend to soak up the color. 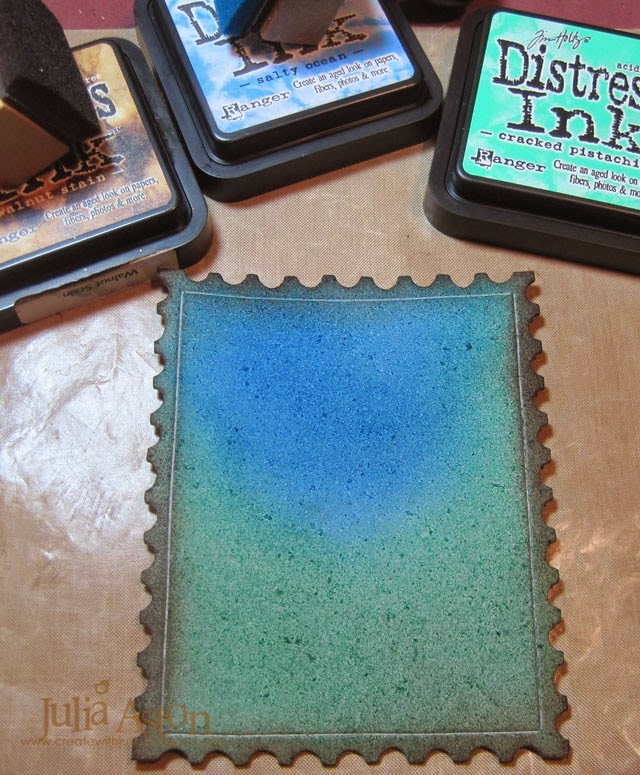 I used Cracked Pistachio and Salty Ocean Distress Inks, sponging the edges with Walnut Stain. I wanted my card to be bright and spring-like (I am desperately looking forward to spring after the snowy, snowy winter we have had here in MA this year!) so I thought butterflies would be a good choice to adorn my card with! 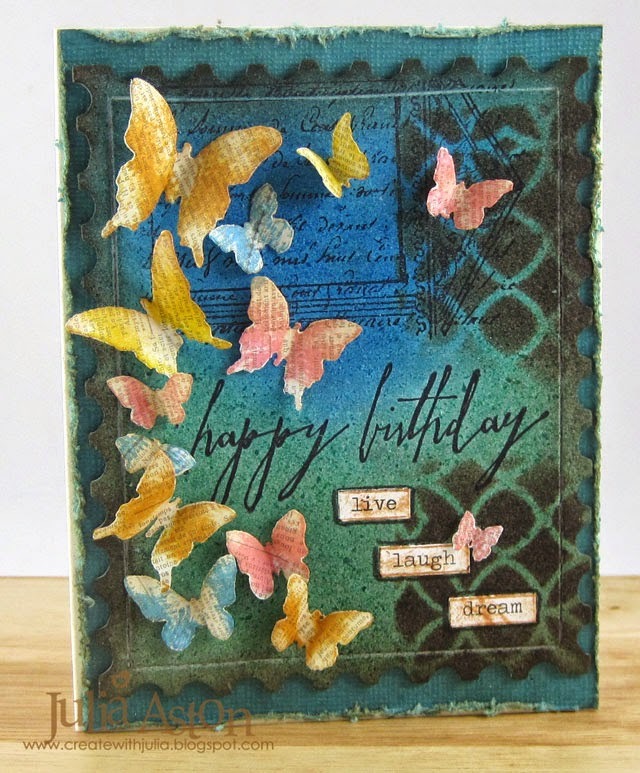 I die cut some text patterned paper with the Butterfly Frenzy die and pushed them into various Distress Inks to color them - Worn Lipstick, Mustard Seed, Salty Ocean and Wild Honey. Then I sponged them all lightly with Tea Dye Distress Ink. I stamped the architectural stamp from Classics #16 and the Happy Birthday from Handwritten Sentiments using Archival Jet Black ink onto the grungeboard. Then I stenciled the Latticework along the right side using Walnut Stain Distress Ink, being careful not to go over the sentiment. I adhered the butterflies to the grunge board using Scotch Quick Dry Adhesive just along the center bodies, bending up the wings while holding down the glued center with tweezers for a minute until the glue dried. I layered the grungeboard to a piece of Coredinations/Ranger paper using Scor Tape. I had sponged the edges of the Coredinations with Tea Dye Distress Ink and used my Ranger Distresser on the edges. I added a few Chit Chat Stickers that I had rubbed in Tea Dye Distress Ink. I added the Quick Dry glue to the stickers as well to be sure they would stick to the grungeboard. 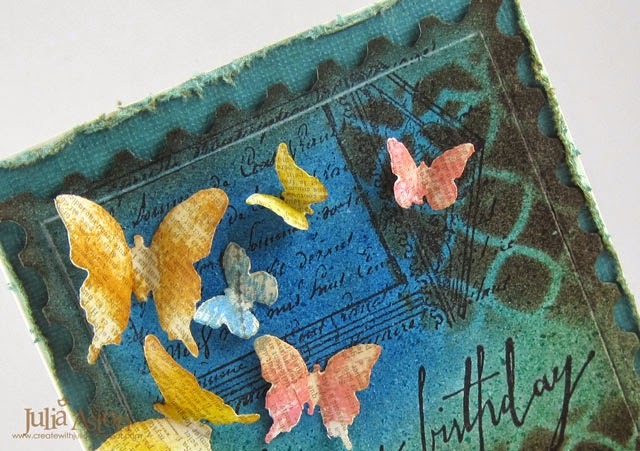 I love how 'active' this card feels with the cluster of butterflies with their wings up as if in flight! 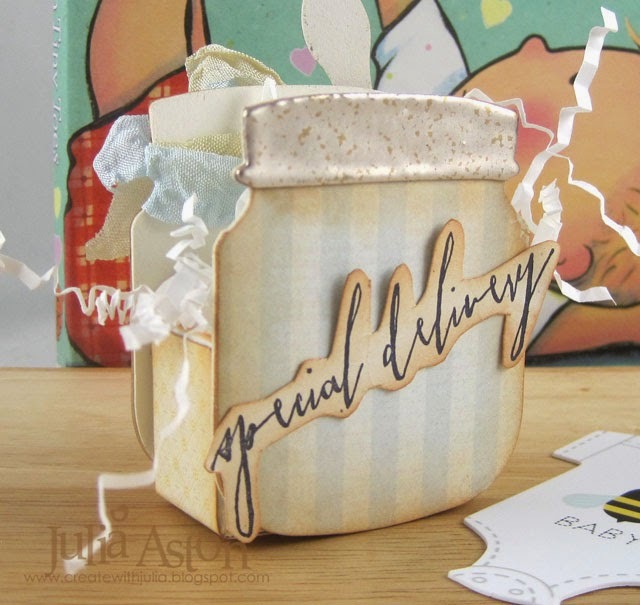 We hope you will join us in celebrating the 1st Birthday of A Vintage Journey with your creation of 'Anything Tim' - there are several lovely prizes to be won - and with our second year - Brenda has some fun changes all described over at A Vintage Journey! Ink: Ranger Distress - Cracked Pistacio, Salty Ocean, Wild Honey, Worn Lipstick, Mustard Seed, Walnut Stain, Tea Dye; Archival Jet Black. 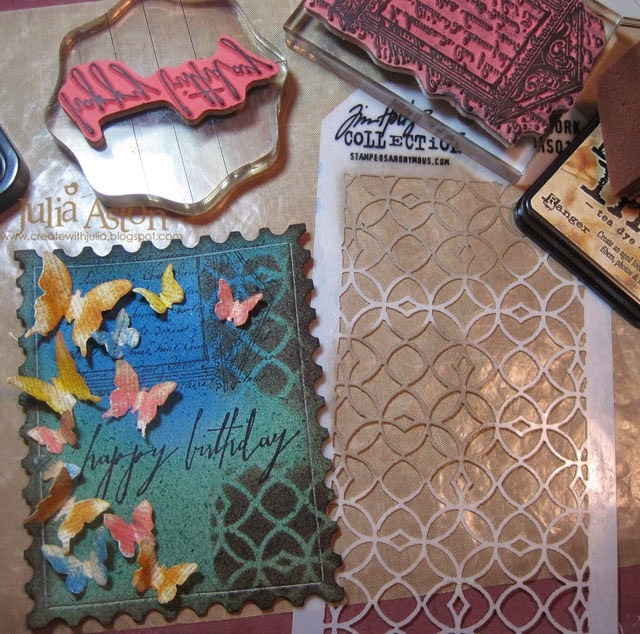 Accessories: Butterfly Frenzie Die and Postage Stamp Frame - Alterations/Tim Holtz/Sizzix, Scor Tape, Idea-ology Chit Chat Stickers, Scotch Quick Dry Adhesive, Distresser - Ranger. 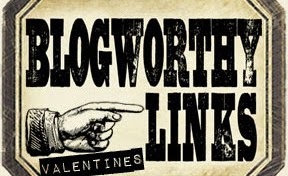 Welcome to the final day of the February Waltzingmouse Release - the Design Team is celebrating with a blog hop. If you arrived here from Lynn's blog you are in the right place. All of the new release stamps and dies are available for purchase at the WMS shop. Today the Design Team could pick any of the new release stamps or dies to highlight. 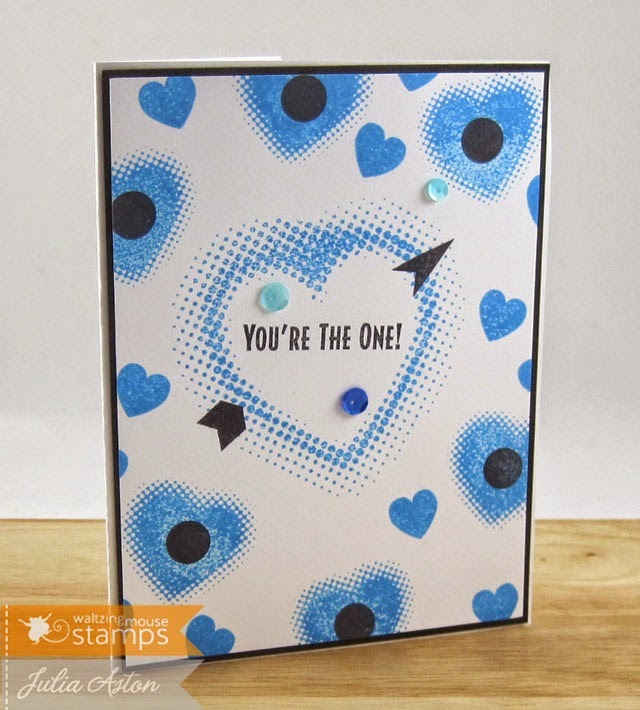 Here is a card I made using one of the lovely stamps and a sentiment from Special Lady. I love the beautiful detail on this ornate stamp - so I just stamped it 6 times randomly across a white panel using Archival Orange Blossom and Corn Flower Blue inks! I layered it over a Canyon Clay panel and then to the white card base. 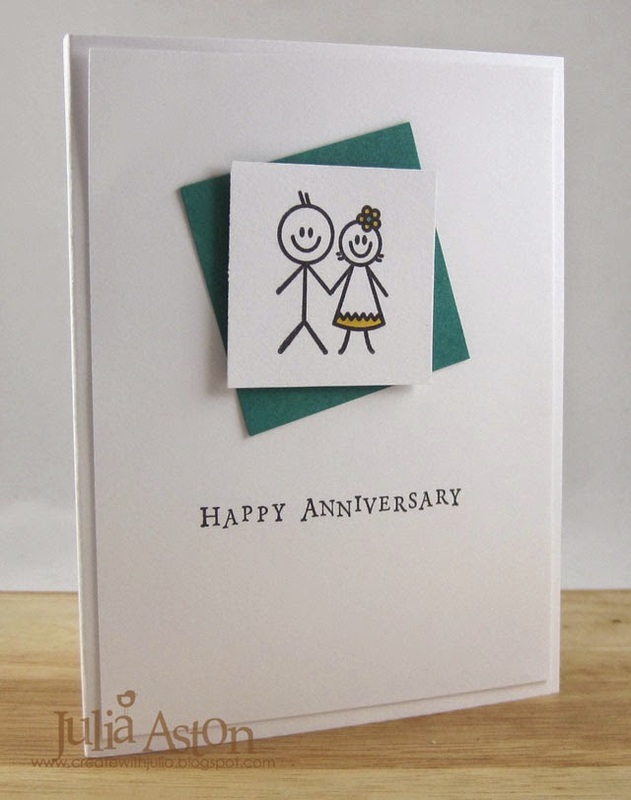 I stamped one of the sentiments from this lovely set along the bottom - so this becomes a Thank You card! To finish it off I added blue and orange Rhinestones. And for my second card - I used the Halftone Backgrounds with a sentiment from Kaboom. 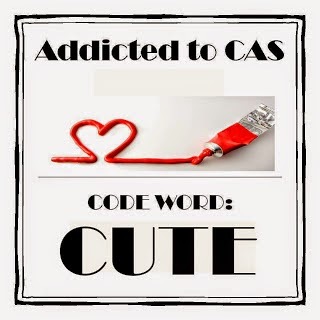 A CAS one layer design. Now with these hearts - this could be a Valentine - but I made it into an anniversary card by using blue and a sentiment from an older set - Sweethearts along with the hearts from Halftone Backgrounds. 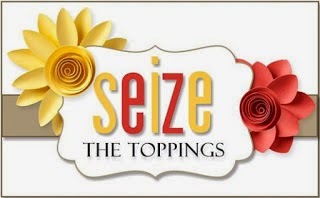 I hope you have enjoyed our 4 days of Waltzingmouse goodness and that you have been inspired by our offerings! I greatly appreciate all of your comments left here! 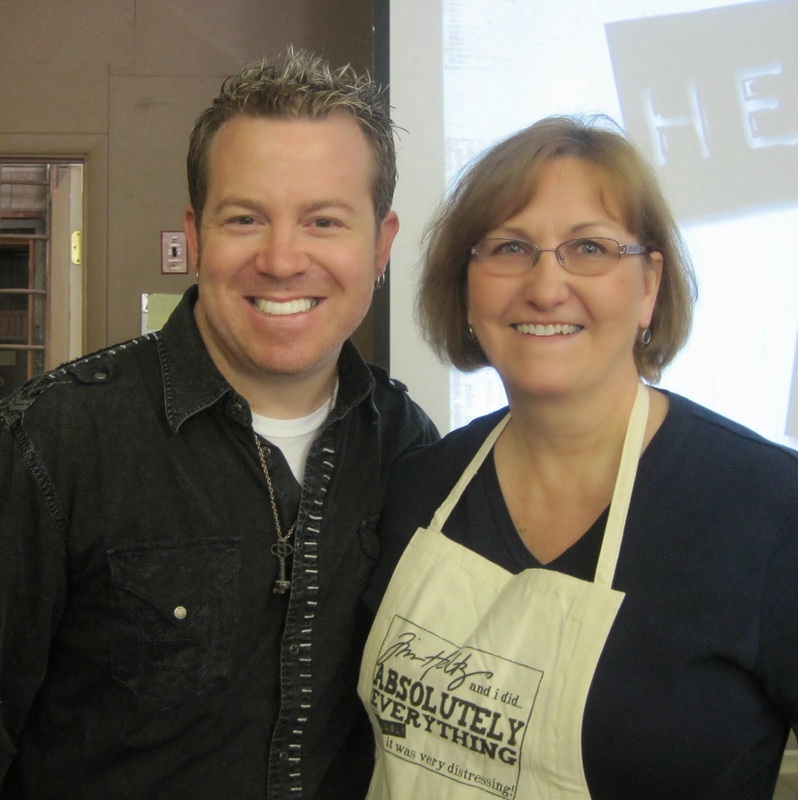 Now it's time to hop over to Sandie's blog (the last stop on the hop) to see what she has to inspire us today! 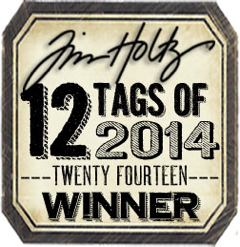 And don't forget to Pin it to Win It - details on the Waltzingmouse Blog. 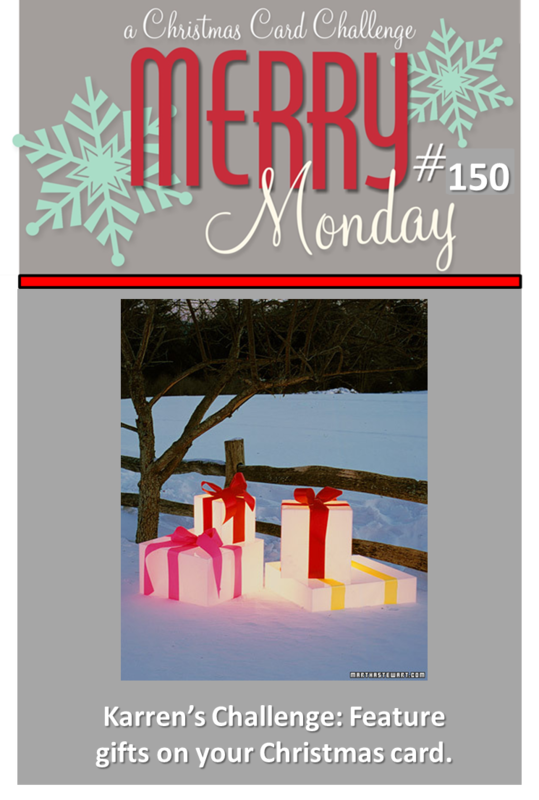 Welcome to day 3 of the Waltzingmouse February Release! 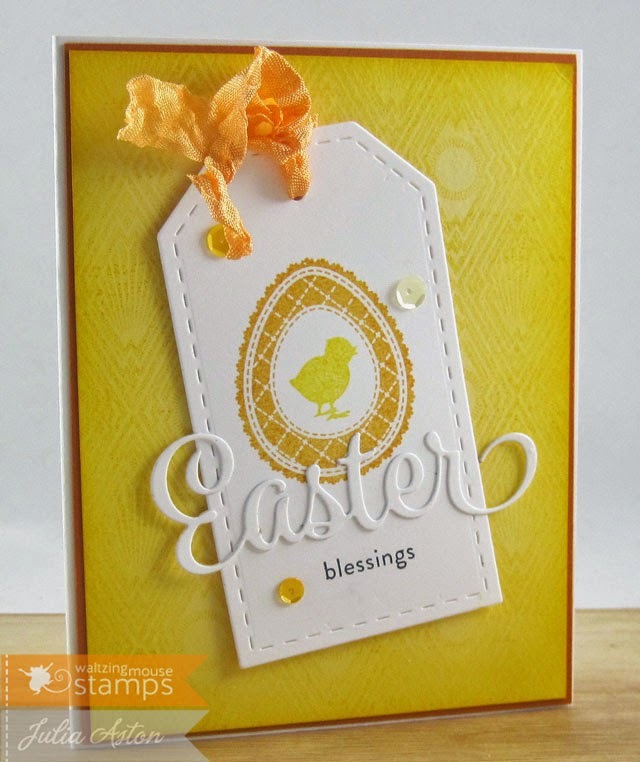 Today the Design Team is creating with the new Halftone Backgrounds set and the Easter Die. All of the new stamps and dies are available now at the WMS shop. 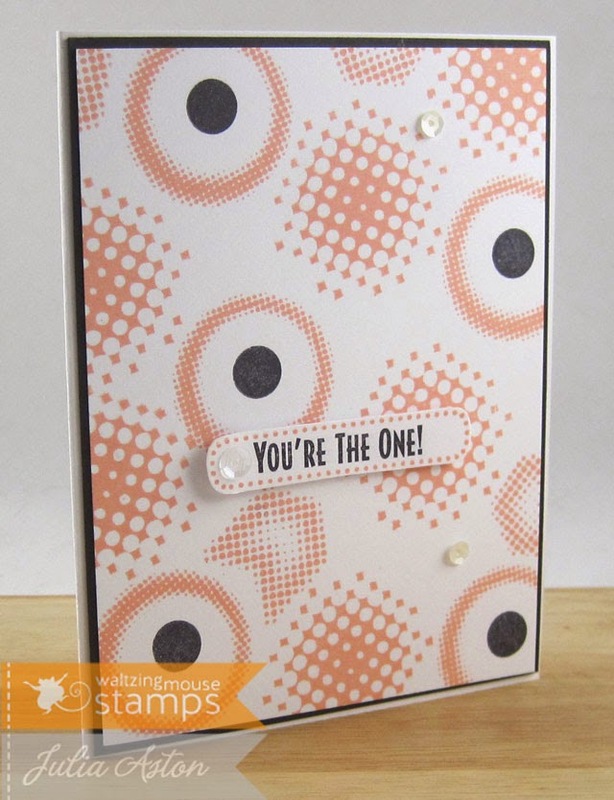 For my first creation I used the Halftone Backgrounds Stamp Set - this set will coordinate well with yesterdays Kaboom set - both having the cluster of dots design. 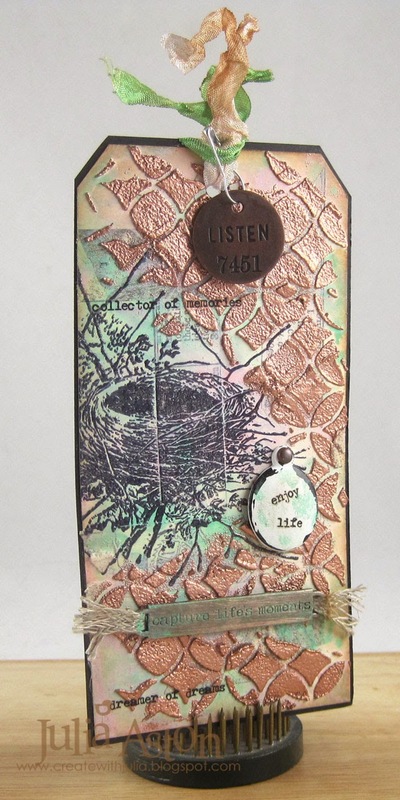 I used a monochromatic color scheme, stamping 4 of the stamps in this set randomly over the panel. The sentiment is from Kaboom - the dotted frame that I hand cut out is from an older set Fancy Phrases. On the inside I stamped the arrow stamp from Halftone Backgrounds and a sentiment from another older set - Putting on the Ritz. 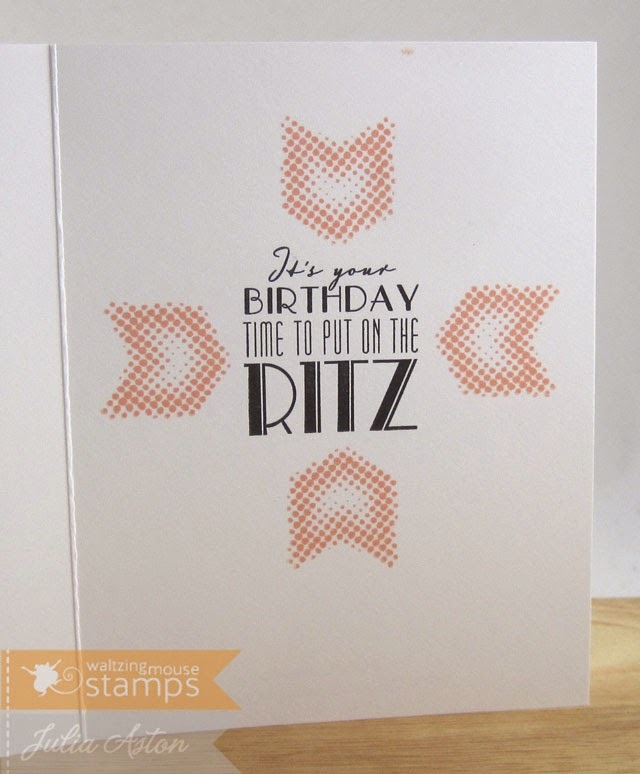 I'm linking this card to the Seize the Birthday Challenge - Masculine. You can see the Art Deco background on the yellow panel a little better in this close up photo. 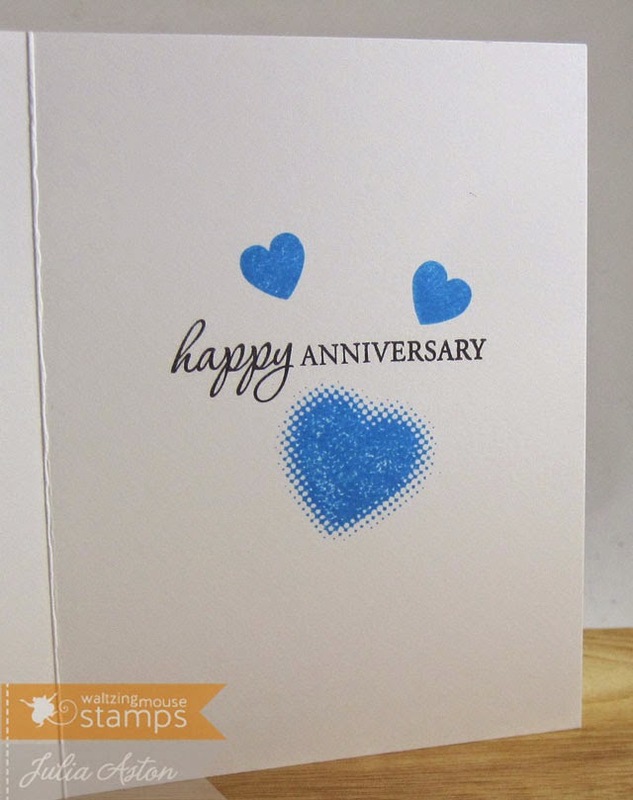 I stamped it using Mustard Seed Distress ink on Lemon Tart card stock. I also sponged the edges of the panel with the Mustard Seed. 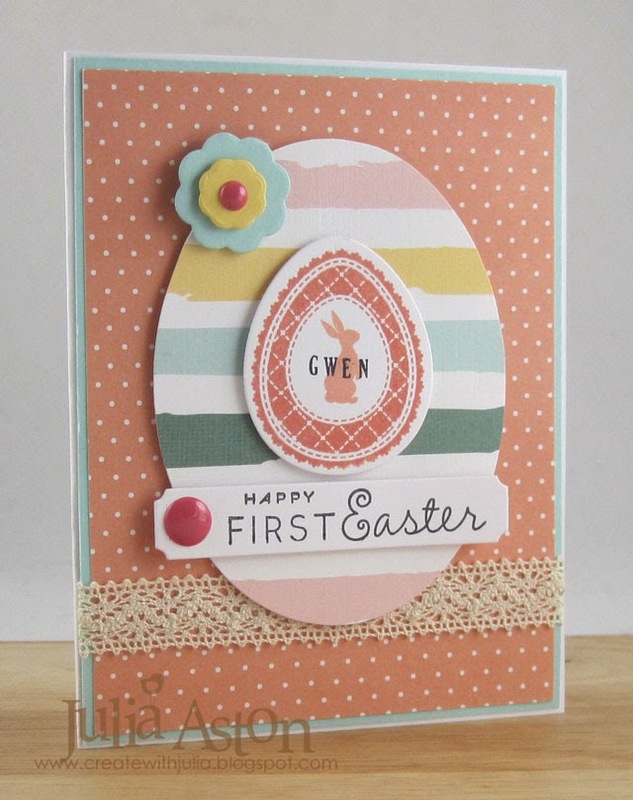 Please check out the rest of the Design Team's posts for more inspiration using the Halftone set and Easter die! 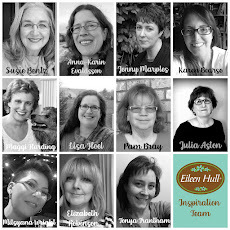 Tomorrow we will be having the Design Team Blog Hop. 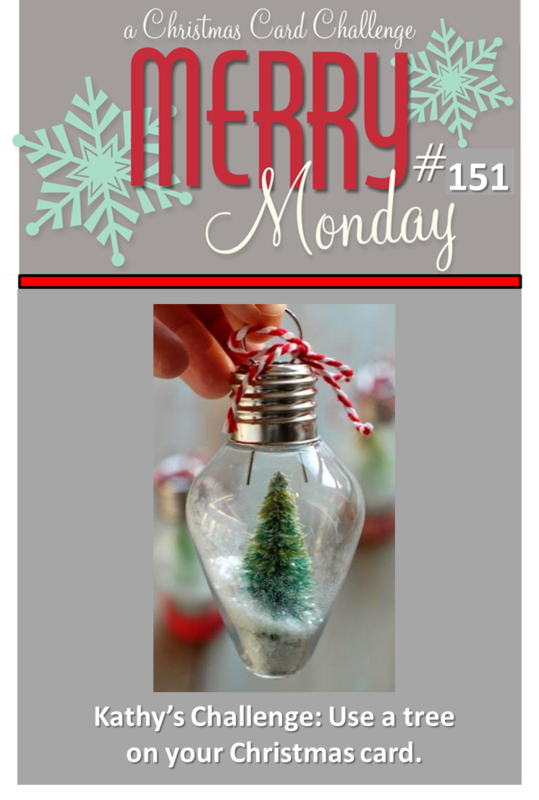 All the details of how you can Pin It and Win It are here on the Waltzingmouse Blog. Accessories: Winter Blend Sequins - Avery Elle, foam dots, Glossy Accents. Accessories: Easter Die and Stitched Tag Dies - Waltzingmouse, Lemonade Sequins - Avery Elle, glue pen, foam dots, wrinkled seam tape - Prairie Bird Boutique Etsy Shop. 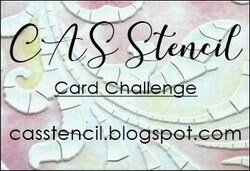 To see my March Mixed Media Card Challenge post, please scroll down or click here. Welcome to the second day of the Waltzingmouse February Release - just a reminder that all of the new stamps and dies from this release are already available at the Waltzingmouse Shop! 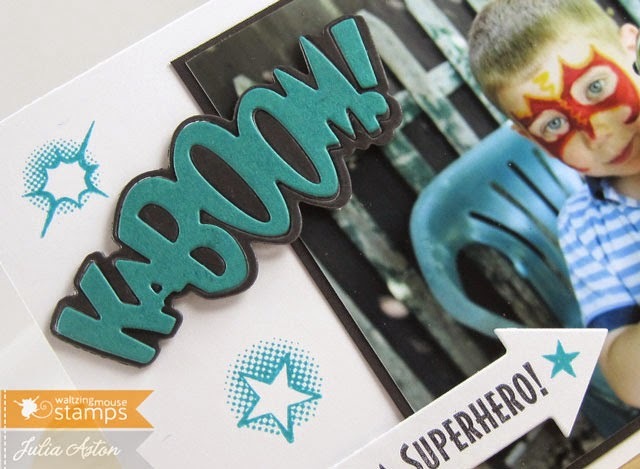 Today the Design Team is highlighting the Kaboom Stamp set and coordinating Kaboom Die. 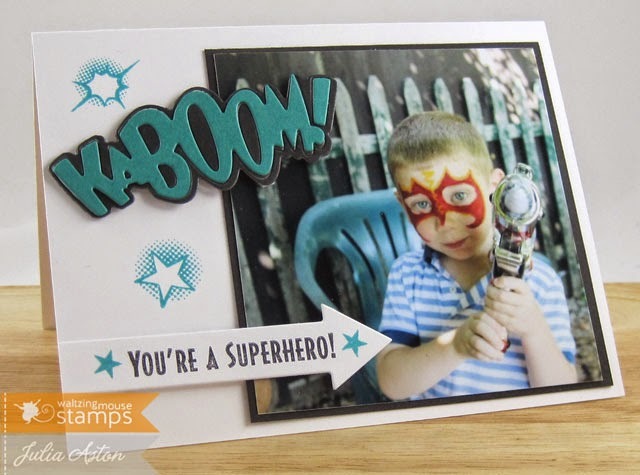 First I have a card using the Kaboom Stamp set. 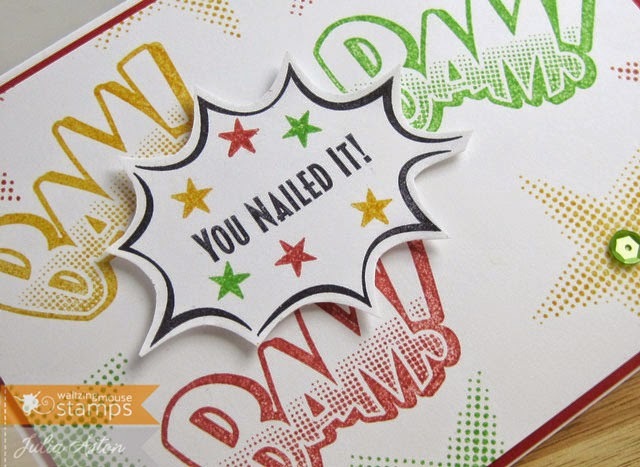 This would be a great congratulations card for someone passing an exam, graduating, getting a new job etc. 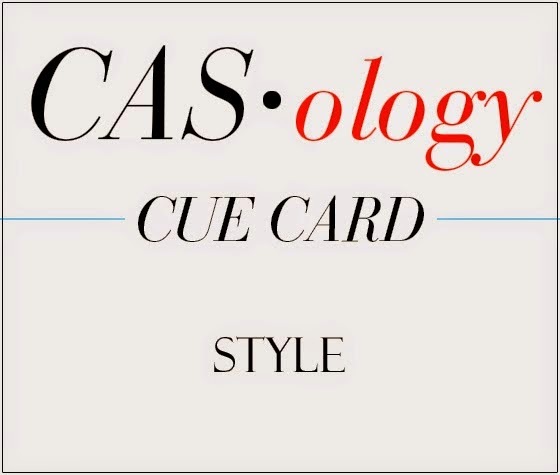 In other words - it's not just for kids cards! This set looks like it popped out of a Super Hero Comic book doesn't it??!! How fun are all the dots making up the stars and clustered at the bottom of the letters. I stamped the sentiment frame and then hand cut it out so I could layer it over the base panel with foam dots. I also added a few sequins around the card. 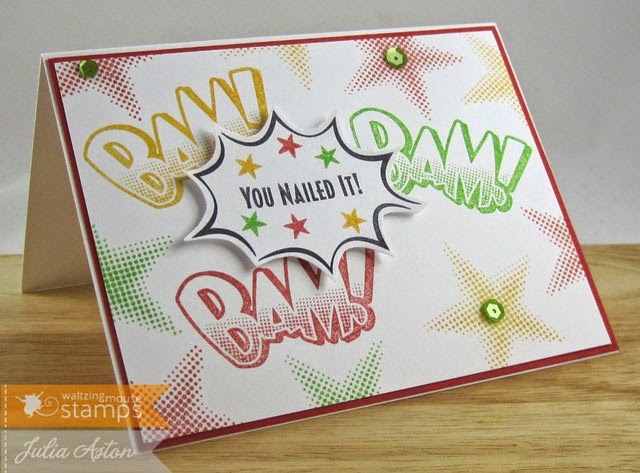 The Kaboom die cuts so you can layer the letters in a different color over the first cut. Please check out the rest of the Design Team for more inspiration using Kaboom!